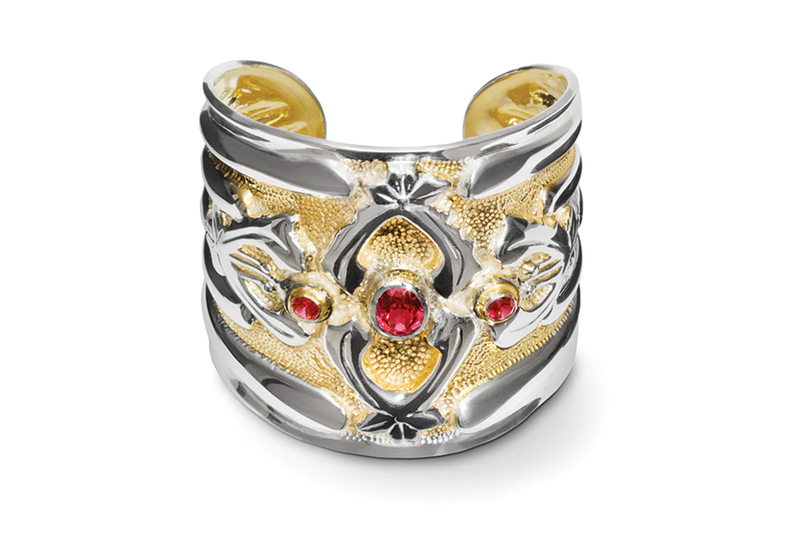 Michael Galmer's early and enduring love of Edwardian English silver traditions inspired him for this ravishing creation: the Abbey Cuff with garnets. Bold original design elements are highlighted with hand-gilded 24K gold and rich red faceted garnets. A stunner to be worn with a sophisticated black suit or a white summertime shift.